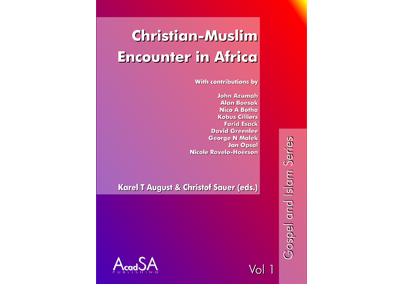 This first issue of Gospel and Islam Series is dedicated to Christian-Muslim Encounter in Africa. It contains some of the key papers presented at the 2006 congress of the Southern African Missiological Society in Stellenbosch. The purpose of the congress was to reflect missiologically on the encounter between Christians and Muslims in history; to better understand Islam, particularly in (South) Africa; to examine how Islam spreads; to reflect missiologically on issues such as conversion; and to listen to Muslims.